Artec Studio 13 is newest version of Artec's industry-acclaimed software for advanced 3D scanning and data processing. 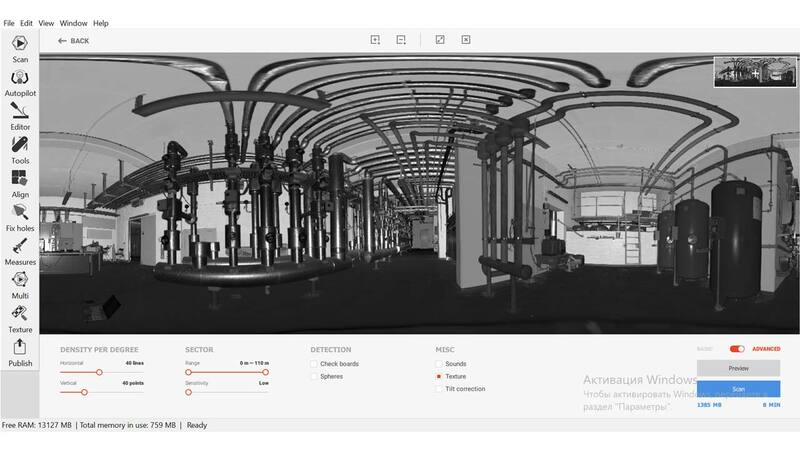 Scan and process your 3D data faster than ever. Featuring the most powerful algorithms and advanced features for optimizing your 3D data with speed, ease and accuracy. Completely new & easy way to scan your objects! 3D Radar: No more need to focus on the distance meter and object at the same time, as you can now easily & comfortably view the correct scanning distance via your object in colour! Increased number of frames whilst scanning (200 by default! ), allowing you to clearly see much more data of your object. E.g. Now you can see all of the scanned data of a human body when scanning with Eva! 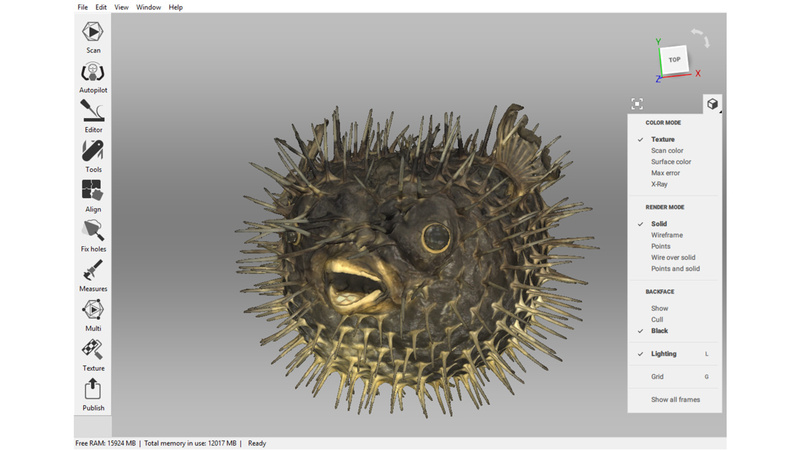 Dazzling visuals - a whole new way to view your 3D scans! Reworked gloss, shadows and lighting for better visibility of small geometry areas! 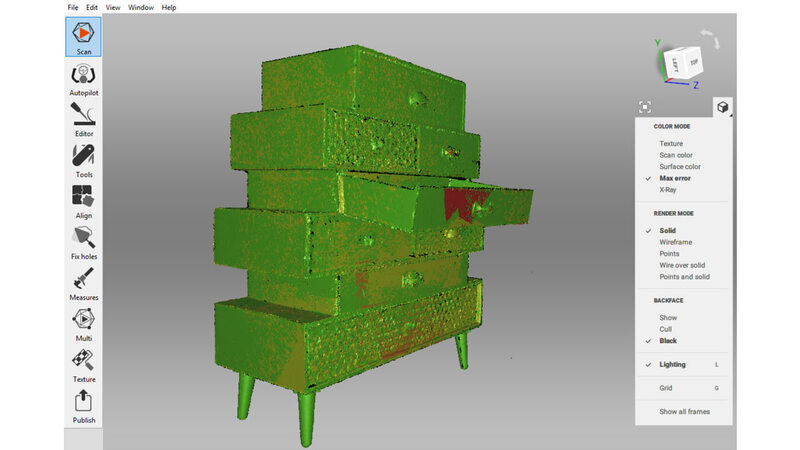 Optimised raw data texture, allowing you to clearly see the quality of your scan even before fusion. X-ray vision - see through any amount of noise! Highlight with high point density making data semi transparent. 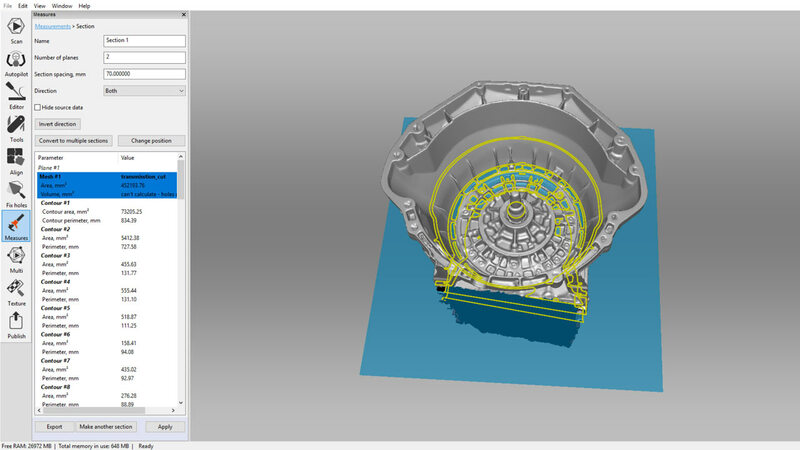 Easy to work with complex geometry + check for errors & misalignments before processing. Now you can see all errors even within frames! No longer the need to inspect scans manually, since frames that may need additional attention are automatically highlighted for you. Process huge data sets faster and easier than ever! Object size or the amount of frames are no longer an obstacle! Studio 13 can now process up to 500 million polygons! Scan even bigger objects with Ray, Leo, Eva and add high detailed textures with Space Spider for maximum resolution. Double the speed of GR in Studio 12 and 20X faster than Studio 11 - the most powerful & effective we've ever produced! GR can now be used on a greater number of object types and surfaces that were previously much more difficult to process in earlier versions of Artec Studio, such as ceramics, glass, dark or shiny surfaces. Customise your GR with the addition of 2 new tools: Key Frame Ratio & Feature Search Radius, giving you versatility and choice between speed or a more thorough global registration. Full DXF functionality for CAD! Easily make DXF sections of any 3D model in Artec Studio and export even non-closed contours to CAD software such as Design X or SOLIDWORKS. Artec Studio is available in two editions: Artec Studio Professional (with support for Artec 3D scanners) and Artec Studio Ultimate (with support for Artec 3D scanners and 3rd party sensors). Compatible 3D scanners Artec Leo, Artec Ray, Eva, Eva Lite, Space Spider, Spider, plus discontinued models (MH and MHT series AG, AC, W2 and T2). Compatible 3rd party sensors Kinect for Windows V2, Kinect for Windows V1, Intel RealSense F200 (IVCAM), Intel RealSense R200 (DS4), PrimeSense Carmine, ASUS Xtion, XYZprinting 3D Scanner. 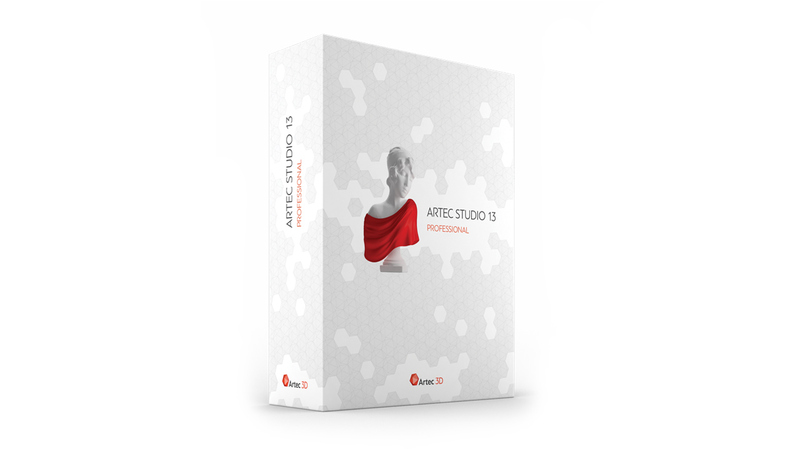 Artec Studio Professional is available as a 1 year or 5 year subscription, or as a perpetual license. 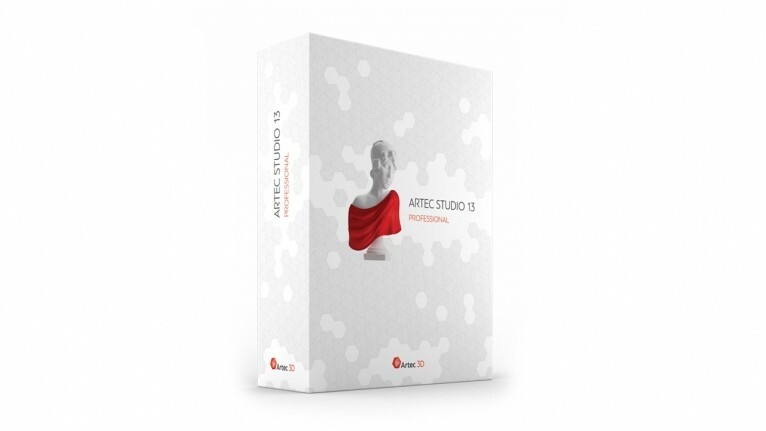 Artec Studio U​ltimate is available as a 1 year or 5 year subscription. Intuitive 3D Navigation Like all 3Dconnexion 3D mice, SpaceMouse Pro features the ..